Our specialty! 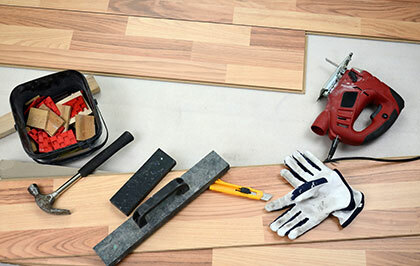 At Construction Unlimited, LLC, we feel that the most important thing, when you are considering a home improvement or a remodeling project, is that it be built with the quality that lasts. This would seem like a no-brainer, but many companies will whittle off quality to lower cost so as to get a bid. We guarantee that we will treat you with honesty and integrity about the costs, and we guarantee a fair price. Sometimes you need a new addition to your home. There are many reasons for a new addition. Your family may be outgrowing your present home. Maybe your children have grown into their teen years and demand more privacy, maybe you have to build a nursery for a new addition to your family, or maybe you just want to reward yourself with a place to spend a bit of leisure time like a den, a TV room or even a deck. How about a man cave or an addition to the garage to keep your ever-growing assortment of tools and a car that you didn't have a year ago .We at Construction Unlimited, LLC can make that happen. You may like the neighborhood that you are in, but find out that the home you have is not big enough for you now or seriously outdated. With a home improvement or an additional room, you can have the best of both worlds. You can stay in the neighborhood that you have grown to love, and you can have more room or update the home to a more modern house that reflects your personality now. It also removes the hassle of buying a new home and selling your present one. A lot of home improvement or remodeling is aimed at the kitchen or bathroom. This is because you get more “bang for your buck.” A new bathroom or kitchen remodel usually returns more than any improvements other than a deck. In order to plan your kitchen remodel it is helpful to make a list of your priorities. Everything from the particular design scheme you want, to the amount of storage space you will need. When you are deciding where to invest your money on a kitchen remodel it is important to ask what you want from the space. A person who enjoys cooking would likely want to go with updated appliances, but, if entertaining is your forte, you might want an island or a breakfast nook instead. A great way to splurge on a kitchen remodel is custom cabinetry. This will completely customize the layout of the kitchen and create a more efficient space. A great, inexpensive, bathroom remodel option is a light-dimmer. This gives you adequate lighting when you need it to put on makeup or for shaving, but it will allow you to set the mood for a relaxing late night soak in the bath. At Construction Unlimited, LLC, our specialty is home improvement and additions to your present home. We have 35 years of experience, and many satisfied customers. We will customize to your needs and wants, and will guarantee quality and a fair price.